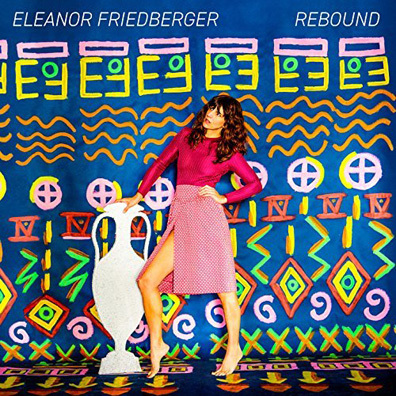 Rebound marks Eleanor Friedberger's fourth solo release since the disbandment/extended hiatus of her former band The Fiery Furnaces in 2011, a band that she was a member of alongside her brother Matthew Friedberger. Whilst she has always fallen within the remit of indie rock, Friedberger's solo efforts have certainly shown a noticeable change in tack. On her last album, New View, she soundtracked many a 2016 sunset with elegant yet full-bodied indie rock. It wasn't so much of an artistic departure as it was an artistic progression. On this new record, we see the remnants of such a departure and the outcome is less than satisfying, to say the least. Inspired by Friedberger's time in a club in Greece last summer—that just so happens to also be the name of the album—Rebound sees the full band aesthetic of New View replaced by much smoother instrumentation. Here, her ample vocals are supported by muted guitars, warm synths, and an overall feeling of restrictiveness, infiltrating the purity of her sound and leaving a lot of these tracks sounding undercooked. Nothing, from lead single "In Between Stars" to closing track "Rule of Action" feels like a fully realized version of the ideas that the tracks were all borne from.